10% off on Metered Journey & 5% off on Fixed Journey Price. With many years of experience, United Taxis Ltd offers an affordable taxi service. Based in Dorset, we offer our services across Bournemouth, Poole and Christchurch. We take pride in being the largest taxi company in Bournemouth. We offer our services 24 hours a day and 7 days a week. 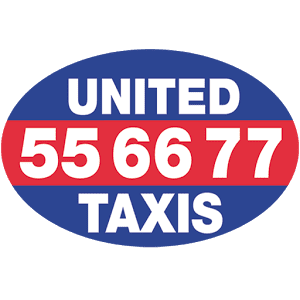 When you book a taxi with United Taxis Ltd we can call you when your taxi is outside and can even text you to let you know the make, model and colour of the car that will be picking you up. We pride ourselves on our clean vehicles, prompt, reliable service and friendly, professional drivers. You must present/mention your e-card before accessing the deal. You may need personal ID as well as your e-card to access the deal. Your e-card is not accepted as Proof of Age. Permits a 15% discount on the total price of the journey unless stated otherwise. Only the cardholder is permitted to use the e-card. If there is ever any confusion, please speak to a taxi phone operator or show the taxi driver the offer via our website/app. Not to be used in conjunction with other offers.